little bee books, 9781499802207, 14pp. 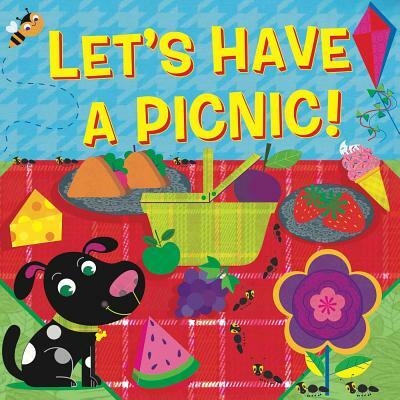 A unique summer-themed board book with bright, fluorescent picnic images! Join two children as they have a fun day having a picnic! They spread out their tablecloth and colorful food, fly kites, smell flowers, play on the swings, and much more! And when it's nighttime, they look up at the stars and enjoy the fireworks. The scenes are accompanied by simple, descriptive phrases on each page. With bright, fluorescent colors, this book is sure to catch children's and parents' eyes! Hunter Reid was born and raised in Connecticut and now lives in New York City. He believes that fluorescents are the new black. Stephanie Hinton is a freelance illustrator who lives and works in London, England. She specializes in the children’s market and is always on the lookout for all things quirky, cute, and full of character.